Avoid throwing away CDs and DVDs because they contain hazardous metals that can leach into the soil. 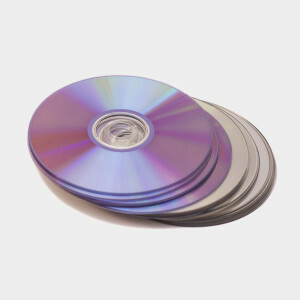 Recycle unwanted or damaged discs by dropping them off at a CD recycling center. Search for a CD recycling center nearest you. GreenDisk is a company that provides secured and audited disposal of personal property stored on digital media. They offer multiple options for disposing of your CDs and DVDs. Find out more. Best Buy will take back computer accessories and other home electronics for free, including CDs and DVDs. They accept up to three items per day from each household. Find a location here. Consider up-cycling CDs into a home or holiday decoration, such as an ornament. Find more DIY ideas.